It is occasionally difficult to discern which sports team Brian Weisbecker is part of, mainly because there are very few home games that he doesn’t attend, no matter which sport is being played. Weisbecker has been a mainstay in the athletic community for all four years of his undergraduate experience, displaying his passion and love for the Chicago Maroons every step of the way. Not only has he gone out of his way to make a mark on the swim and dive team, but he has made a mark on every sport in this program. Weisbecker is perhaps the perfect example of this interest in others and their thoughts, both in and out of the classroom. He never fails to ask other students how their days are; he constantly provides a smile and a warm “hello.” He is also an economics major with a Spanish minor, a University Scholar, and an Honorable Mention Scholar All-American. To say that the fourth-year takes his learning seriously would be an understatement. It is shocking to look at the all-time swim and dive records and think of what might have been for Weisbecker. Even with his two years of injury, the fourth-year is No. 9 in school history for the 200-meter butterfly and No. 8 on the 400-meter individual medley list. 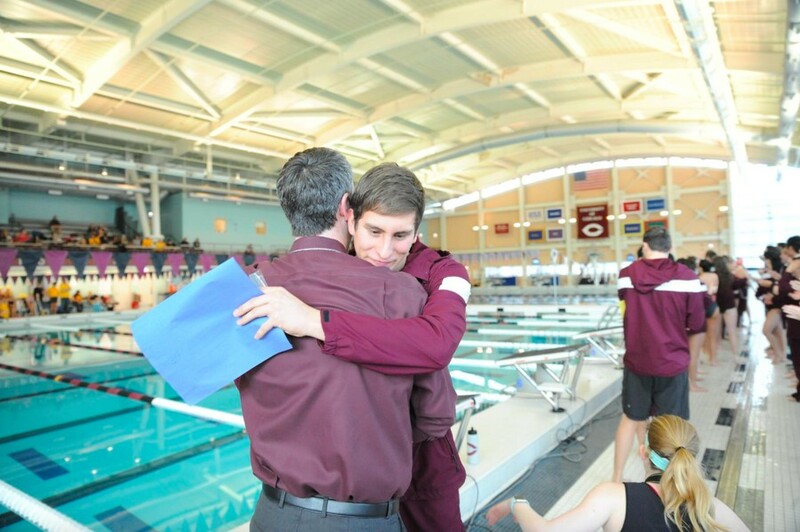 Although the journey was rocky, Weisbecker stayed positive, as usual, and was able to return for his last year of competitive swimming. “With everyone’s support, I was able to make it back. My struggle with injury definitely made every moment of this year so meaningful and fun,” the fourth-year said. This year was especially meaningful for the whole team, as the squad managed to secure 14th place at the National Championship this year. “For the past four years I’ve worked to help OOC have a bigger impact on campus and to change the perception that athletics is not also something that we can be proud of at our university,” he said. He has led the charge on events such as National Student Athlete Day, cook-outs for the outdoor sports, and Neon Night, making good on his promise to bring athletics to the forefront. The Maroons will certainly miss the cheering section Weisbecker always brings, as well as his fearless leadership at the helm of the Order of the C, but he won’t be too far away next year, as he is working in Chicago at a consulting firm. Hopefully he will come back for some games every now and then, although it would also be understandable if he never wanted to set foot in Ratner again after all he has given to it.